Emirates is closing their JFK Lounge for renovations until “early 2018” – instead, premium passengers will get a voucher, $30 for business, $40 for first, to one of the terminal’s restaurants. This seems far insignificant considering the downgrade in experience that premium passengers will have by not having a lounge. A review of the Alaska Airlines 737-400 Combi – a fun little 737 aircraft that has freight in the forward part of the aircraft and passenger accommodations in the aft. United is doing a series of farewell flights for the 747. It will essentially be a farewell tour of all of United’s Hubs. A fitting farewell to United’s Queen of the Skies. When an ATM eats your Money Order, perhaps one of the scariest things that can happen to a Manufactured Spender. Doctor of Credit celebrates 3 years without credit card affiliate links. Will has really build that site to be a true resource for our community. Congratulations! Warning – this is a German blog, but google translate works decently. It looks like there’s a new Star Wars themed ANA Kids lounge. Great addition to the ANA Star Wars Liveries! Joe shares his experience redeeming the Citi AT&T Access More Phone Credit. I still need to use mine, but I’m waiting for the new iPhone, assuming I can do it. Sir Richard Branson’s Necker Island Home has been reportedly destroyed by Irma. Thankfully, there was no loss of human life, at least on the island. Delta made a well choreographed flight to get a last few people out – impressively so. Let us not forget the islands that were hit horribly by Hurricane Irma as well. Noah and Becky are preparing to take a gap year. There is a lot of planning that goes into it. It is certainly not for the faint of heart. This one will be interesting to follow. You’ve probably noticed by now that my posting rate has gone down rather significantly over the past few weeks. Its been a rather crazy few weeks for me, and unfortunately regular blog posts have been impacted. That said, there’s just so much happening that I had to at least attempt to get something out. So I’m treating this as a quick roundup, it is by no means all inclusive. There really aren’t words for what we are seeing down in Texas, and now Louisiana. 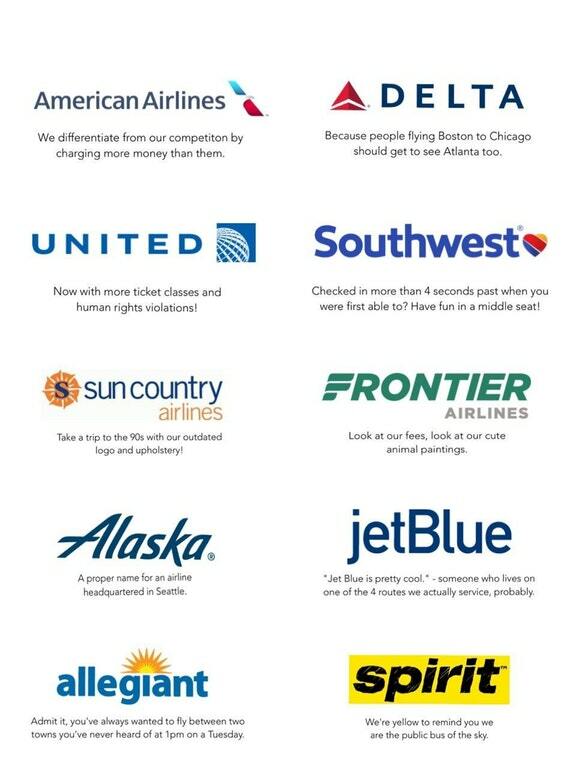 I’ve been impressed with some of the really positive stories of airlines going out of their way to help. We’re seeing a number of “promotions” where you can earn miles for donating to various organizations. Like this United example where you can get up to 1,000 United miles for donating. It ends up being just 4x, and my opinion: donate because its right, not just to get 4x miles. I’ve been really impressed with the imagery we’re seeing from GOES-16 Experimental (I think that’s the technical term). You may recall that my wife worked on that satellite and we were down in Cape Canaveral for the launch in November. 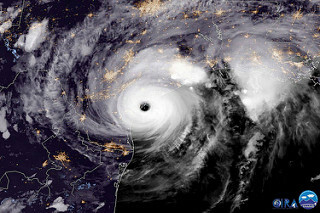 Including a photo below, courtesy of the GOES-R program. Chase updated their terms for the Sapphire Family, limiting the signup bonuses you can get. From the Travel Update – What airlines offer free transit hotels. This is a pretty nice game changer for some places that force an overnight anyway. EVA Air is the latest to cease 747 passenger flights. Bank of America seems to be cracking down on heavy churners.. Milenerd may be the latest prominent person to acknowledge the new reality. Doctor of Credit makes a very valid point – support the sites that you enjoy. It doesn’t even have to be financially. Just sharing your favorite blogs or blog posts is meaningful. It can make a big difference, knowing people are reading your material and appreciate it enough to share it. Seth muses about additional consolidation of US Airlines. Receive points for Last Week’s Southwest Reservation System Issue; to follow up — My wife has seen the miles post to her account. There was a pretty phenomenal Qatar Airways Business Class sale from Vietnam a couple nights ago. Could it have been a mistake? Could it have been a expertly crafted and targeted great deal? Treating people with kindness is always important, but this flight attendant went above and beyond the call of duty. God Save The Points writer Gilbert Ott has an amazing marketing push going on at the moment, and he’s even gotten British Airways to play ball with him, giving away free upgrades. Miles from Blighty happened to see him. Malaysia is looking to put lay flats on their 737s. There might also be a better sign-up bonus for a Delta American Express card coming – so if you’ve been holding off, it may be a good time to monitor. 6 Things that are important to know if you are starting a business. Were you targeted for an amazing American Express Business Platinum offer for existing cardholders? I wasn’t (and I even called to see if I could be included). If you were, share in the comments! Would you pay $74,000 per hour for this 787? Its pretty impressive, but, that is a whole lot of cashback points! Southwest Airlines is highlighting which of its flights on 21 August will be best for viewing the Great American Eclipse. Southwest will also be offering some great hospitality including “cosmic cocktails”! Similar to the Australian who checked a beer, someone checked deodorant; unfortunately the story doesn’t end nearly as well. A major airline CEO apparently said that Basic Business is not a question of if, but when. How do you feel about that? With the Citi Prestige changes, will you keep, downgrade, or cancel? American Airlines celebrated a very special 75th anniversary this week. A lobbying group related to the US3 vs ME3 debacle took aim at a miles and points blogger. I’m not sure if this is illustrative of the ludicrousness of the claim, but it sure seems so. Here’s the original article too. Doctor of Credit never ceases to stop building amazing resources for the mile and point community, his knowledge base for acronyms is no different. If you’re reselling operation is big enough, you could monetize some of the waste like pallets and cardboard that you are generating! The complete guide to Amtrak guest rewards. Welcome to the new week! Here is your Monday Roundup – those great posts that you might have missed with the craziness of the weekend. Citi has announced additional changes to their Citi Prestige Card, I think, meant to show value, with the negative changes that include dropping the 1.6 cents per point redeemed for travel on American Airlines down to 1.3 cents, and the taking away of the golf benefit. Nick isn’t convinced this is good news. I’m still on the fence here. Disney is launching an immersive, all inclusive Star Wars hotel. It sounds awfully cool, the question is, can you wait the 2-3 years it will take to build it? The best place to enjoy the Bastille Day Fireworks. If you haven’t been to Lake Como, this may make you put it higher on your list. Have you ever been to Ulaanbaatar? I sure haven’t, but I would love to visit Ulaanbaatar, Mongolia some day. Here are Lucky’s initial thoughts. Not terribly miles and points related, but Microsoft is giving a ton of ebooks away – grab them while you can!